Brian Keene is starting a podcast series called The Horror Show With Brian Keene. For some reason, he had me on as the first guest. Check it out here. Ben Loory is one of my favorite people, and I'm not just saying that because one time he picked me up from the airport. His short stories are so unique and exciting I could read them all the time. His collection Stories for Nighttime and Some for the Day was released in 2011 from Penguin (the paperback is currently a steal at $6.00! ), and his kid's book The Baseball Player and the Walrus will be out next year from Dial. I've been wanting to do a podcast with Ben for a long time now, and I was thrilled talk to him about his collection, his upcoming kid's book, and a whole lot more. Enjoy! Gay Degani is the founder of Every Day Fiction's Flash Fiction Chronicles, which published my essay "Hint Fiction: When Flash Fiction Becomes Just Too Flashy," which then spawned the whole Hint Fiction craze, so I owe Gay a lot. Her first novel, What Came Before, is out now from Every Day Novels, which is currently posting a free chapter a day (though the hardcover is now available at Amazon and Barnes & Noble). Gay took some time to talk to me about the novel and the writing process. Check it out! 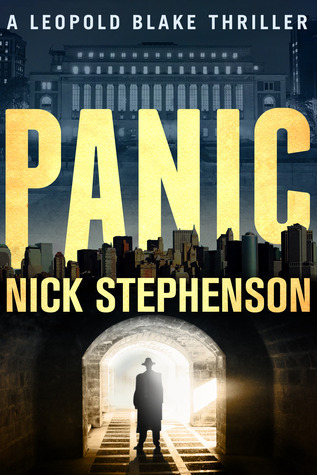 A few days ago I spoke with Nick Stephenson, the author of the Leopold Blake series (including Panic, Departed, Wanted, and Paydown), about his books, how he got into self-publishing, and Eight the Hard Way (which is currently free via his website). Warning: I was coming down with a cold that day, so my voice sounds rather nasally during the recording. Otherwise, enjoy! Brett Battles is one of the most prolific writers I know. Not only does he publish several novels a year, he juggles several different series, including the Jonathan Quinn series, the Project Eden series (Dream Sky, the most recent book in the series, just came out), and the Logan Harper series. He writes the Alexandra Poe thrillers with Robert Gregory Browne and wrote a Wayward Pines novella called Alone. (To get a true glimpse of just how many books Brett has written, view his Amazon page here.) And despite all of this, Brett kindly took some time out of his busy schedule to talk to me about his books, how he got started in publishing and his transition into the independent sector. Enjoy!